I put out an SOS to Twitter for dinner ideas involving chicken cutlets, and Lena mentioned she was making America’s Test Kitchen’s Chicken Saltimbocca that evening. That was all the inspiration I needed! My recipe formed in my head as I mentally took inventory of what I had in my kitchen. Unfortunately that inventory did not include sage or prosciutto, which is how we ended up with “Kind-of Chicken Saltimbocca”. 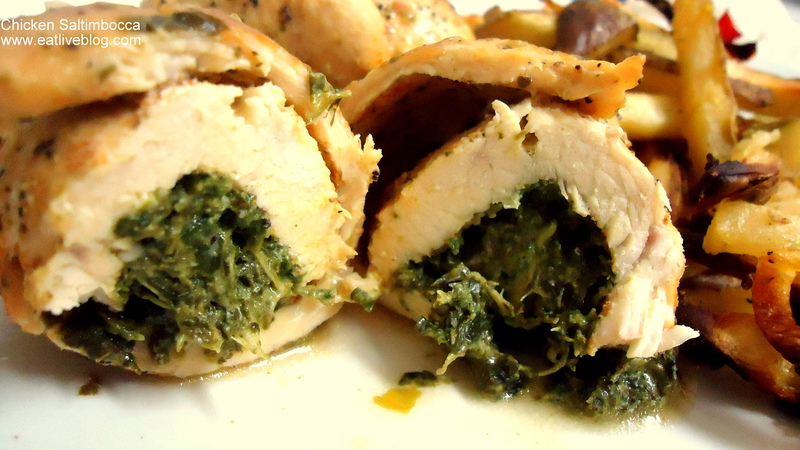 Take 1 heaping tablespoon of spinach mixture and place it at the beginning of one long end of a cutlet. I give mine a 5 minute broil at the end to make them crispier. If you do this, make sure to keep an eye on them because they will burn fast! 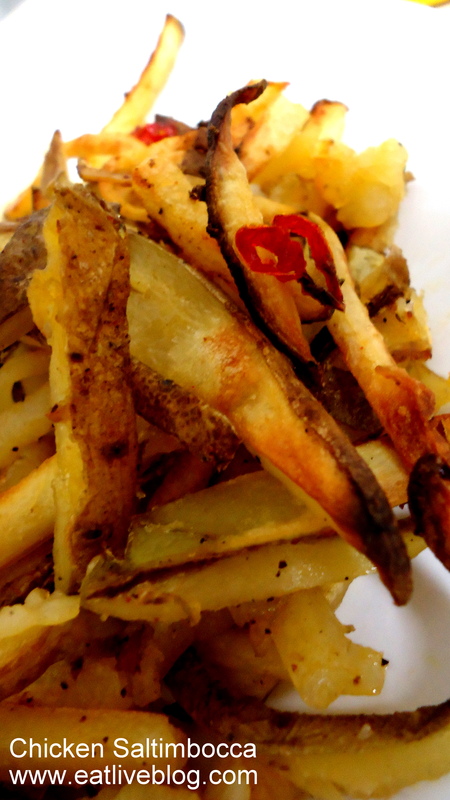 This entry was posted in Recipes and tagged americas test kitchen, atk, baked fries, chicken, chicken cutlet, dinner, goya adobo, lemon, recipe, saltimbocca, spicy fries by reneeh. Bookmark the permalink. Ooh…this looks delicious! Well may end up as my supper…thanks for the inspiration! This certainly looks like a dinner you should be proud of! I love saltimbocca and love how you said the flavors were dancing on your tongue because saltimbocca means jumps in the mouth. Great way to put together this fabulous dish with stuff you had in the house. Yum this looks good! i just got some chicken from whole foods to make for dinner..tempted to do something like this. I’m looking at the blog and my mouth is watering.. 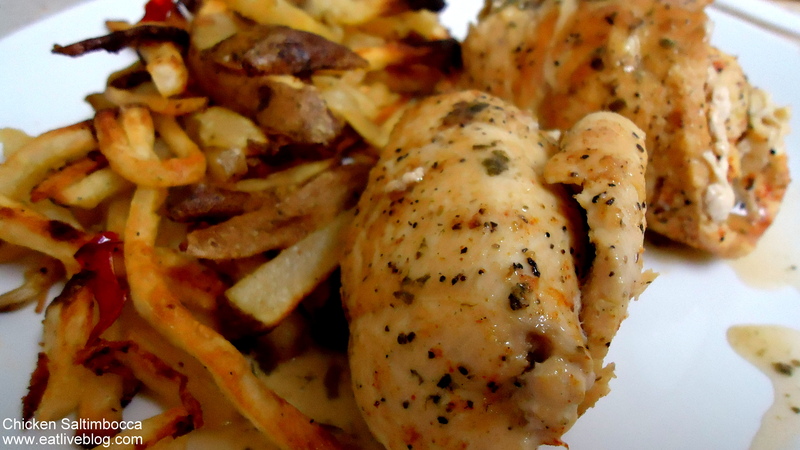 I offically have my Sunday night dinner planned:) Good bye boring chicken! Thank you! !